We celebrated our son Jon’s birthday this weekend. As always I asked him what he would like to have for his meal, I didn’t have to ask what he would like for his dessert. Both our boys when it comes to dessert ask for the same thing year after year for their birthdays. Jon loves jello cake as we call it, I am not sure what the official name for it is, but I am sure most people have eaten it at one time in their life. It is the one where you bake the cake, poke the holes in the cake, pour the liquid jello all over the cake, and then top with cool whip. Jon is our son that will be getting married next year in October, he loves this cake so much that he mentioned to his bride to be that it would be a good thing to have jello cake for their wedding cake. That suggestion did not go over so well. Jon’s other siblings like jello cake as well, but not like Jon does. 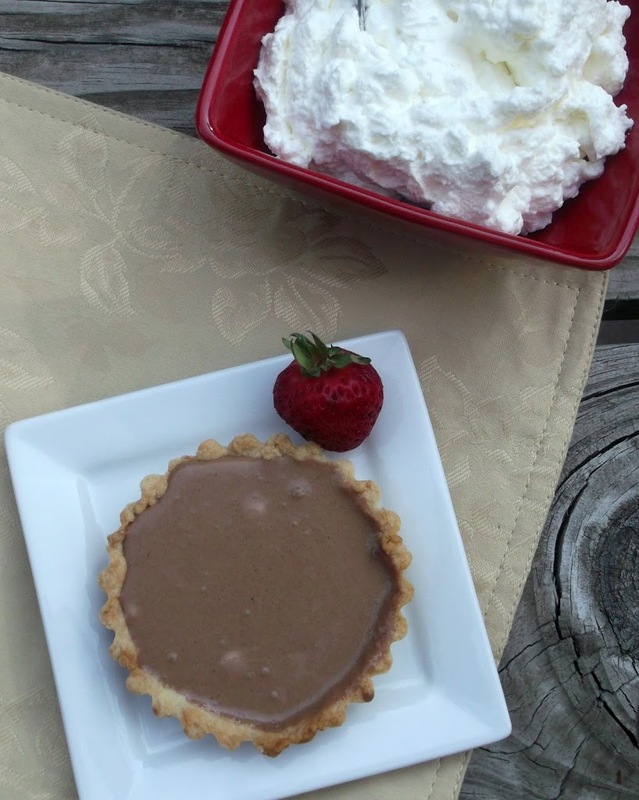 So this post is not about jello cake, actually is about the French silk pie (tarts) that I made along with the jello cake. I like to have other desserts for the ones that aren’t too thrilled for jello cake like Jon is. I bought some mini tart pans a couple of weeks ago so I thought it would be fun to make individual French silk little pies. 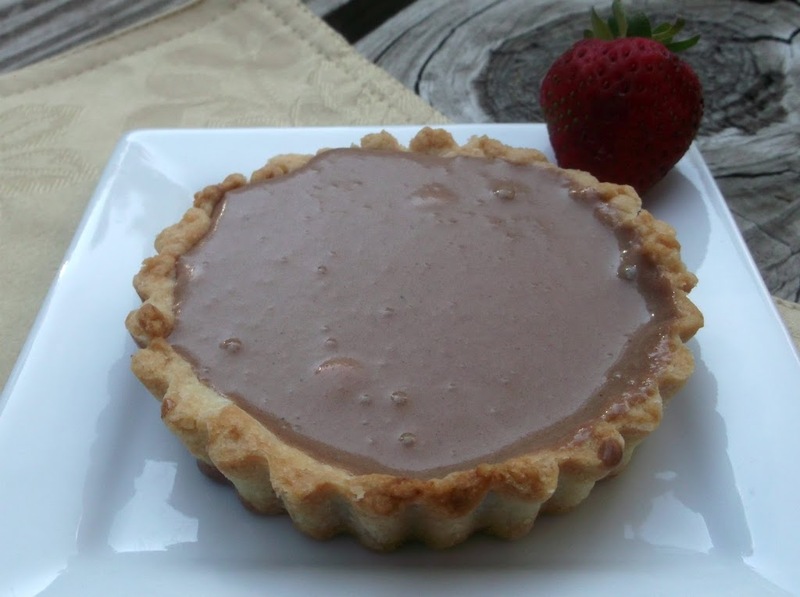 The crust for the tart was perfectly buttery and a little bit of saltiness to go along with the sweet chocolate filling. The French silk filling was smooth and creamy, but make sure that they are made in advance. The recipe says to let them sit for six hours. I would recommend that they are made the day before you serve them; the filling takes time to firm up. 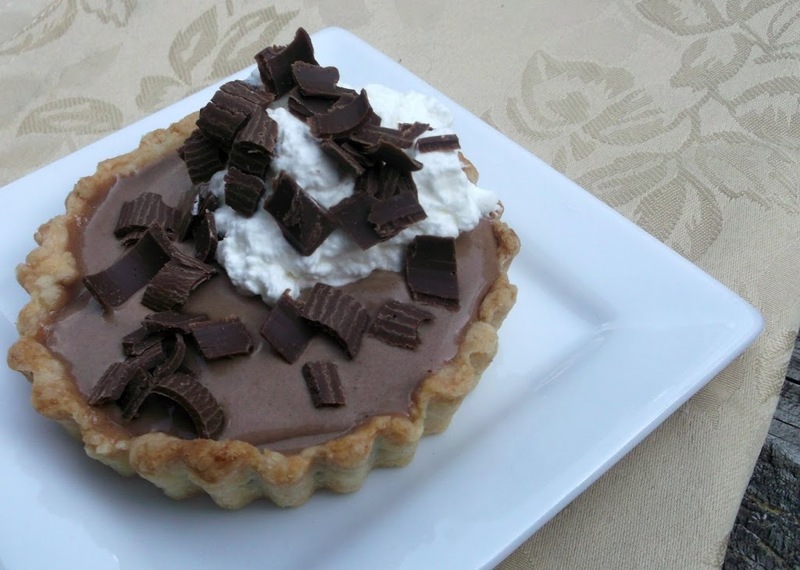 The French silk tart was a hit and I am sure you will enjoy it too. Stir or process until the crumbs look damp and hold together when pinched. Pat into tart pans and prick the bottom and sides before baking. Bake in a preheated 425 degree F oven until the crust is golden for about 10 to 12 minutes. In a small saucepan, combine sugar and eggs until well blended. Cook over low heat, stirring constantly, until mixture reaches 160 degree F and coats the back of a metal spoon. Remove from the heat. Stir in chocolate and vanilla until smooth. Cool to lukewarm (90 degree F), stirring occasionally. In a small bowl, cream butter until light and fluffy. Add cooled chocolate mixture; beat on high speed for 5 minutes or until light and fluffy. In another large bowl, beat cream until it begins to thicken. Add confectioners; sugar; beat until stiff peaks form. Fold into chocolate mixture. Pour into crust. Chill for at least 6 hours before serving. Garnish with whipped cream and chocolate curls if desired. Refrigerate leftovers. Wow this looks decadent. Perfect for a special occasion. And thanks, now I’m hungry…and I want chocolate! It’s midnight and I need to go to bed. But I just saw this and thought if it were sitting here in front of me I’m afraid I wouldn’t hesitate to eat it. Looks amazing! I’ve got to pin this! This tart is a dream! A perfect choice for special occasions – delicious! It was nice to read about the favorite cakes of you sons – A belated Happy Birthday! Really nice! I love those little individual tarts – always enjoy being served one. And this dessert just screams chocolate! Who could resist? I sure couldn’t! Thanks for this. Wow, this tart of your look awesome! These look delectable! I’ve been cooking with so much fruit lately I’ve neglected my chocolate cravings! LOL…I remember that jello/poke cake from my childhood. I need to make one for my family. And I giggled at the thought of your son suggesting it for a wedding cake 🙂 French silk is a favorite around here, too…it’s been a while since I’ve made one…but I may have to make mini versions next!